Flying Dodo: Wilbur's Fun Ride – Games for Android 2018 – Free download. Flying Dodo: Wilbur's Fun Ride – Funny arcade about Dodo the bird. 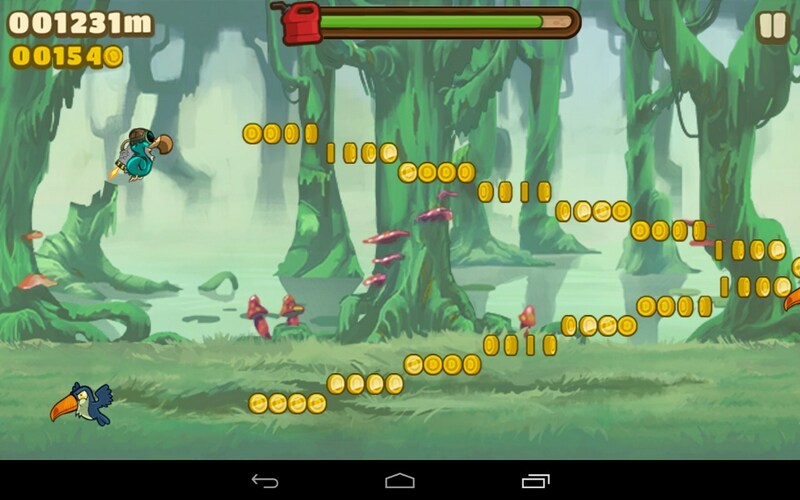 Flying Dodo: Wilbur's Fun Ride - is a colorful arcade game for Android, which is built in the style of runner. 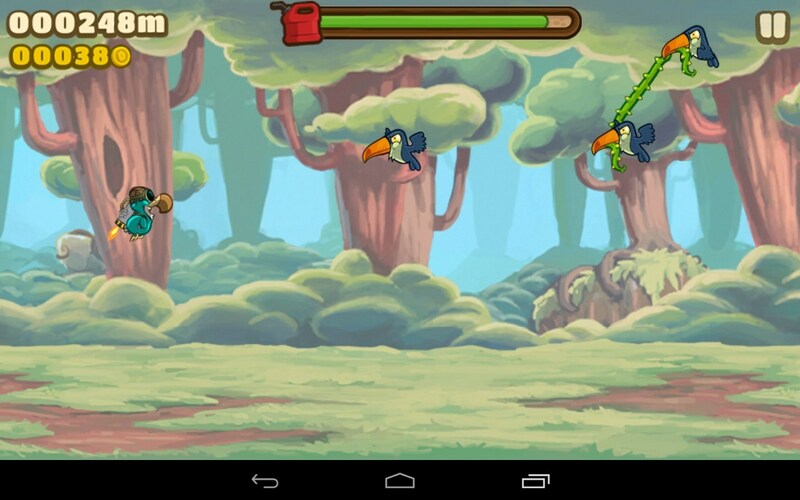 The main role will be the Dodo bird, which found a jetpack and use it on a journey through the jungle. Jet thrust can not only gain a decent speed, but also easy to maneuver between obstacles. The idea of the game was fairly borrowed from the famous arcade Jetpack Joyride , though the gameplay has been significantly curtailed and simplified. Graphics also performed at a good level. Colorful hand-drawn locations and pleasing to the eye model and a set of effects give the gameplay dynamics and allow you to enjoy every attempt to conquer the jungle. In the gameplay is nothing new or surprising, everything is done by thumb groove. Your hero - Dodo with jetpacks behind, flying through the jungle, simultaneously collecting coins and fuel cans. As a complicating factor is the toucans, which cover the way, arrange traps and suddenly fly at breakneck speed. As a result, you will be required a good reaction and a little skill to control the hero and maneuver between obstacles. Data collected during the flight coins can be spent on the purchase or improvement of bonuses, update appearance Dodo and purchase a more powerful pack. 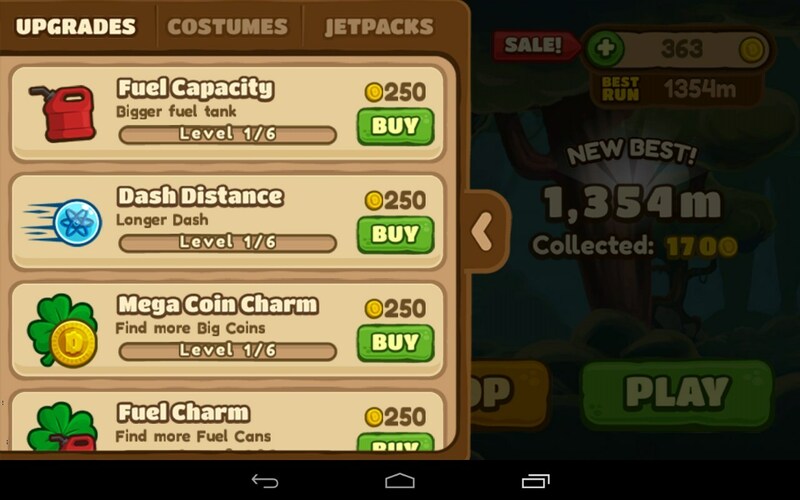 All upgrades will allow to fly further and set a new record. By the way, the terrain during flight will change, that is, the further you fly away, the more interesting it will be location. Managed quite handle even a child, since all that is required - is to click on the screen, including the so satchel that will raise the hero in the sky until you remove your finger. 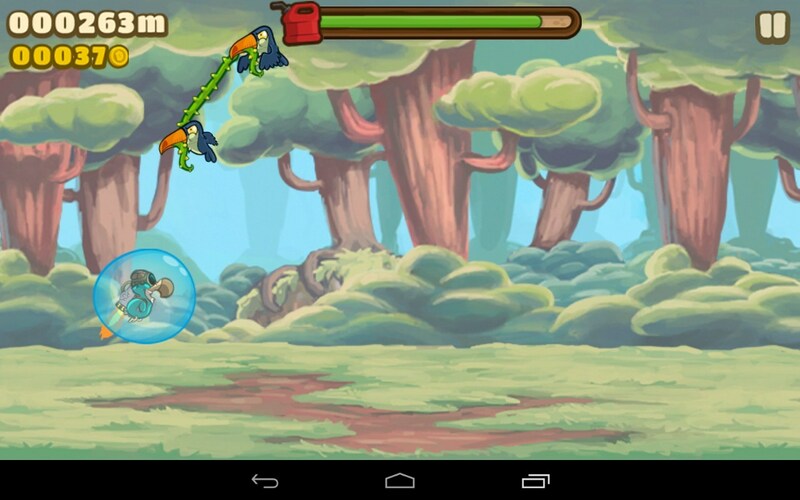 That is, all actions in the game are performed by a single tap of, which is very convenient. Download and install the game is completely free, with as little surprise, there is no advertising, and Donat did not complicate gameplay. Can expose the claims except for "cloning" a previously released arcade, although all those involved developers. 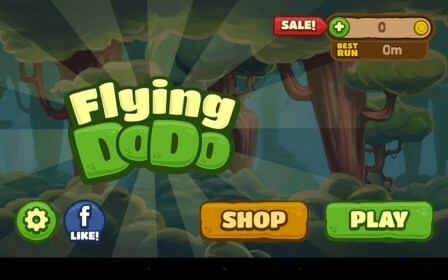 Flying Dodo: Wilbur's Fun Ride will attract lovers of simple arcade games with endless gameplay that help to "kill" time. Cute draw pictures and simplified management allows you to enjoy the game even for children.